Presidential aspirant Omoyele Sowore has had his scheduled interview with the South African Broadcasting Corporation (SABC) called off for describing Nigeria as “South Africa’s older brother” while appearing as a guest on eTV — South Africa’s first and only privately-owned free-to-air television station. While appearing on eTV, the interviewer had asked Sowore how he would improve trade relations between South Africa and Nigeria. “As we see, currently, South Africa exports 6.4billion rand but Nigeria imports 30.4 billion rand into South Africa. So how do you then take that to the next level?” the interviewer had asked. Responding, Sowore said: "So, let me tell you, we are your big brothers, not just to South Africa but Nigeria should be a big brother to the entire African continent. And Africa recognizes that. The comment prompted the cancellation of the SABC interview — a move Sowore responded to by expressing little surprise, noting that the South African government never made it a duty to educate its citizens about Nigeria’s financial and political interventions at the heat of the apartheid struggle. 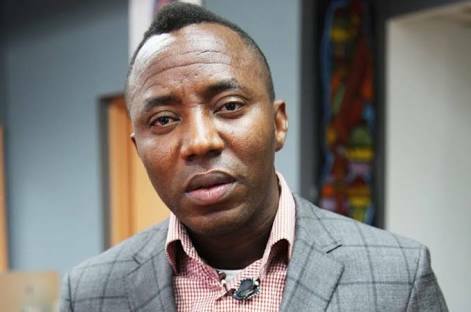 “Our interview with SABC this afternoon has been cancelled as a result of my pronouncement on eTV earlier today stating that Nigeria is South Africa’s older brother and our citizens should be treated with respect,” Sowore said through a press statement released by his #TakeItBack movement. “I am not surprised that the management of these media houses took umbrage — it’s not like the South African government make it their duty to remind their people that the Nigerian government bankrolled Mandela’s ANC back in the 70s and 80s. “Our universities were full of South African students being sponsored by the Nigerian government. We played a very significant role in bringing about the end of apartheid. The South Africans have repaid our generosity with bloodshed and xenophobia, their government almost turning a blind eye to the incessant killings of Nigerians in South Africa.